It was king of KING, with segments on the station’s Evening Magazine and New Day NW—the latter featured an interview with His Highness Maharaja GajSingh II and his daughter Baijilal Shivranjani Rajye. And reviews for the show ran in The International Examiner, Crosscut, The Daily, and The Spectator. Also: You may have seen Amy Sherald’s Saint Woman on the cover of this week’s Real Change (cash or Venmo accepted! ); reporter Lisa Edge reviews the SAM show In This Imperfect Present Moment for this week’s centerpiece story. Seattle Magazine’s annual list of the city’s movers and shakers is out—and Priya Frank, SAM’s Associate Director of Community Partnerships, is on it! She’s named “one to watch”—we couldn’t agree more. Congrats, Priya! Very sad news: Yoko Ott, an artist and curator with connections to numerous Seattle organizations, died last week at the age of 47. Tschabalala Self! That, and other offerings, are part of the exciting lineup coming up at the Frye Art Museum announced this week. Oh, Canada. Smithsonian Magazine reports on the latest humane news from our northern neighbor: Doctors in Montreal will soon be able to prescribe museum visits to their patients. And in Germany, museums are the subject of a TV show. It will feature noted creatives—like Vivienne Westwood and Karl Ove Knausgård—leading tours in inside eight historic European museums. And come through, America (well, NYC)! : The just-released budget for the city features a record-breaking $198.4 million for cultural organizations. It’s a Halloween tradition! To all you ghouls and goblins, I present: The Pumpkin Dance. 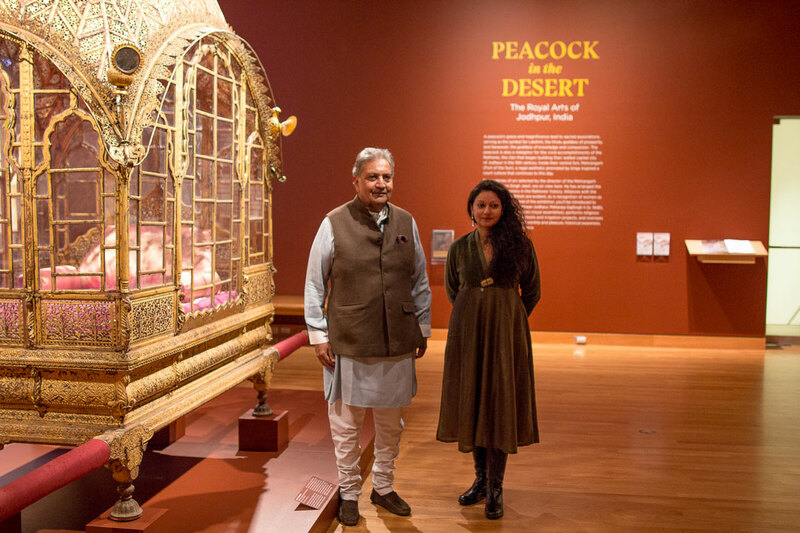 Image: His Highness Maharaja GajSingh II of Marwar-Jodhpur and Baijilal Shivranjani Rajye of Marwar-Jodhpur in Peacock in the Desert: The Royal Arts of Jodhpur, India at Seattle Art Museum, 2018, photo: Stephanie Fink.